Due out on August 2 in Japan. 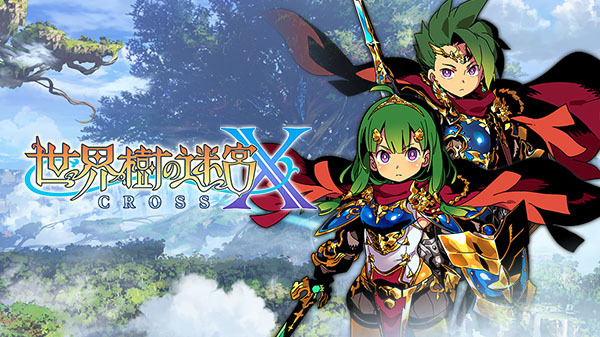 Atlus has announced Etrian Odyssey X (Cross), the final 3DS entry in the 3D dungeon RPG series. It will launch on August 2 in Japan for 6,480 yen. Adventurers all over the world. Gather in the floating city “Maginia,” and aim for the treasure on the remote island in the distant sea. Under the decree of Princess Persephone, adventurers gathered in the floating city of “Maginia.” Fortune, honor, and possibly unknown adventure lies dormant in “Lemuria.” Keep your pride in your heart, and move forward—. A crossover of the series’ systems make for the highest quality game. Systems include character creation, sub-classes, Force Boost and Force Break, and difficulty levels. Systems unique to the series such as drawing maps with the stylus are also present.